Can you believe it? This was taken last weekend. 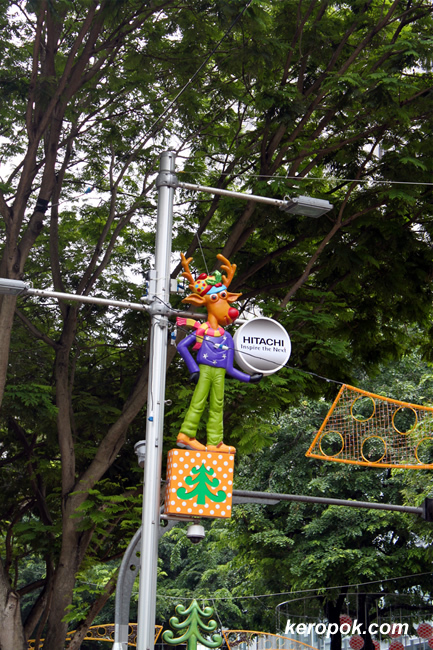 It was still October and the Christmas decorations are already up on Orchard Road. What does Christmas means to you? Great year end sales? Or a religious thing for you? Yes, decorations are going up here too. Its all about money I suppose. To me it means presents, eating, drinking, friends and family. And having a good time. Ya, the earlier they can grab your shopping money, the happier they are! Wishing you a great and blessed time at Christmas! Decorations are up because of the APEC summit, so they push it forward to show how "great and beautiful" Singapore are. I think it's all too commercialized! used to love xmas when i was a kid i'd wait for Mr.santa and my gifts... tsk-tsk,now, it's the other way around. ya, u are so right! I think I read it today in the newspaper too!